Storage, support, style! The Happy Beds Bibop White Bunk Bed with Underbed is a beautifully modern kids bed with practicality and safety in mind. With several different storage options, the option of turning the underbed drawer into a third single bed, and platform bases, the Bibop blends functionality and comfort together perfectly. 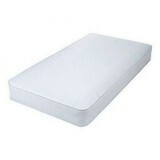 The durable white finish of this bed also means that it will look perfect with any kids room! The Bibop White Bunk Bed is the perfect bed for sleeping 2, as it has 2 bunks and an adaptable design that any child will love! The durable white finish is adaptable to any kind of decor style and gives a feeling of modern minimalism; the contrast of the curved lines and straight edges ensure that this bed will be the envy of all sleepovers. The silver side rail also adds both safety and extra contemporary style. Rid the bedroom of clutter with the amazing storage of the Bibop, with shelves galore and an underbed drawer, this bed helps your kids keep their bedroom tidy. Storage beds are especially ideal for smaller bedrooms where storage furniture can't fit! 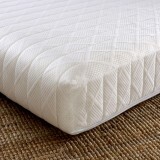 The underbed trundle can be used either as another storage space or as a third bed as it fits a single mattress. This makes the Bibop perfect for sleepovers! The sectioned storage shelves of this bed are perfect for keeping books, toys, or even a bedside lamp! And both bunks have these shelves so there will be no fighting over who has the best bunk. Comfort and safety are important features of the Bibop bunk bed - it features platform bases to support the mattresses, and has raised safety sides on the top bunk to keep your top sleeper safe and sound. The steps are simple to clamber up and the safety rail makes it easy and safe to get up to the upper bunk! 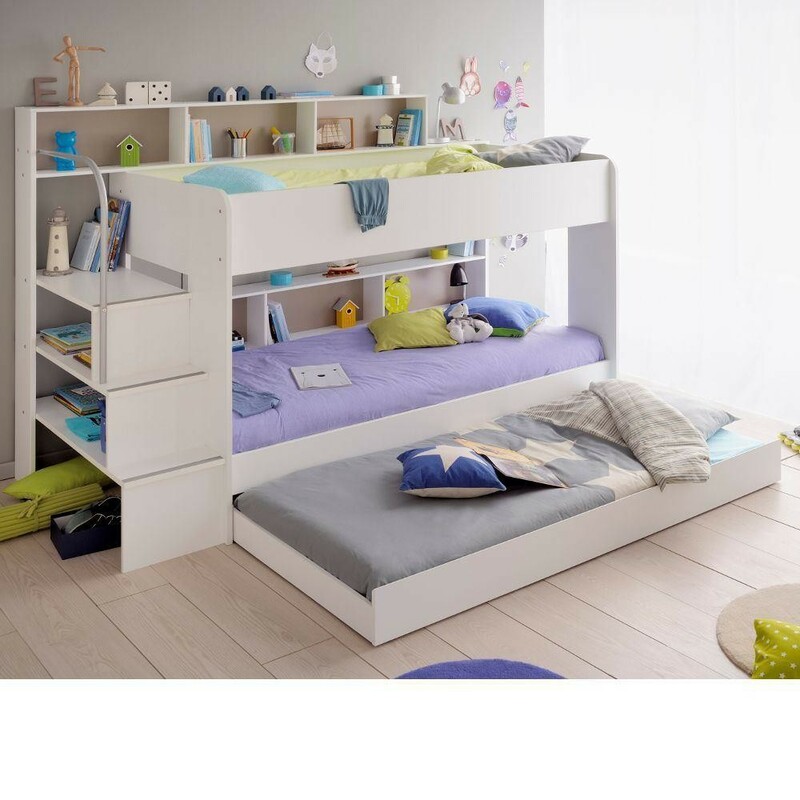 The Bibop White Wooden Bunk Bed with Underbed Trundle can only be assembled in the orientation as shown in the images on the listing.